I don’t know about you, but Easter is one of mine and my family’s favourite holidays. From the sweet desserts to egg hunts, and Easter crafts for kids, Easter is our ultimate family event. I start preparing about a month out. 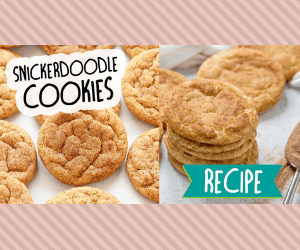 I plan my meals, my desserts, decorations, and start doing fun activities and DIY Easter crafts. 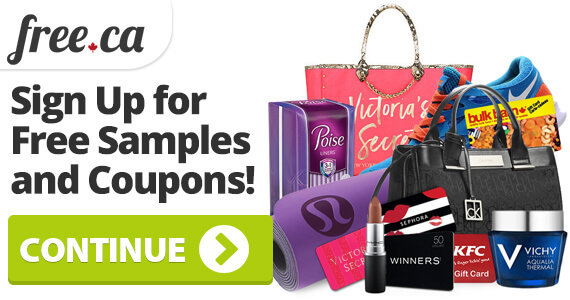 If you love crafts as much as we do, you’re definitely going to want to try these out. Bonus: we’ve included some free printables in case your kids aren’t big crafters! The kids in my family just love to colour. And because they colour so much, I don’t waste money on colouring books. 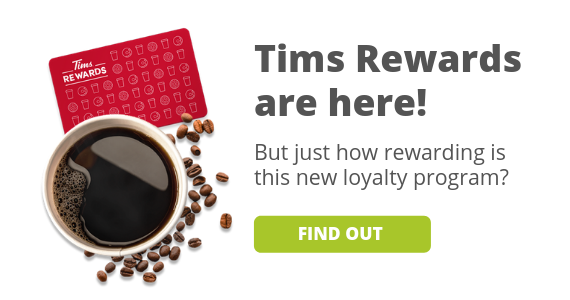 Why pay for something you can get for free online? Crayola has a wide selection of free printable Easter colouring pages for kids of all ages. Some of the designs are simpler for younger kids, and some are more detailed for older kids. Plus, some of the pages have word scrambles and activities to keep the kids entertained. Even if you don’t have small kids in your immediate family, I recommend keeping colouring pages on hand for any kids in your extended family. 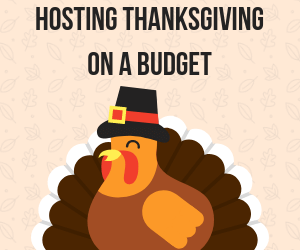 We all know kids can get bored at family dinners, especially on longer holidays, so we recommend you keep some pages ready and give to any kids getting stir crazy at Easter dinner. Colouring is one of the easiest Easter crafts for kids because all you need are crayons and paper! As far as DIY activities go, this is definitely one of the easy Easter crafts for kids. 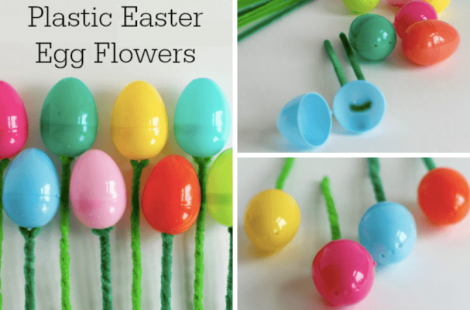 You only need 2 supplies: green pipe cleaners, and plastic Easter eggs. This craft comes to us courtesy of Make and Takes. There are usually 2 holes in the bottom of a plastic egg. Thread pipe cleaner up through one hole and back down the second hole. Pull the pipe cleaner up and around and make sure they are even on both ends. Twist the two ends together to make a firm and strong pipe cleaner flower stem. You can make as many as you like, and you can even put them in a vase to be a centerpiece, or hide treats inside the eggs for the kids! Let’s face it, dying Easter eggs is fun but boy can it be messy. 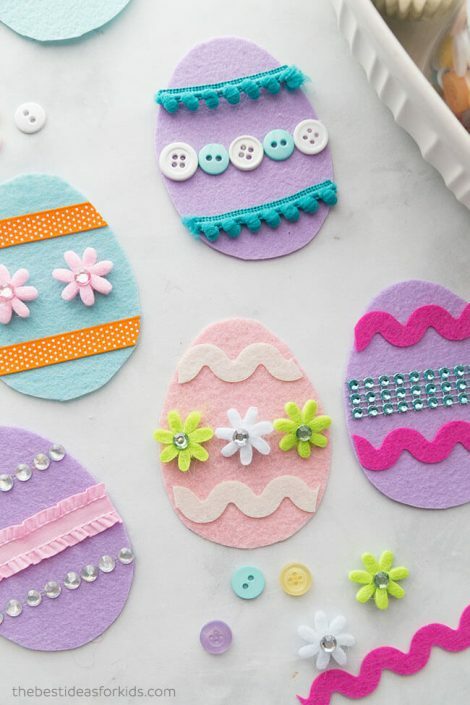 That’s why these felt Easter eggs are a way better alternative (no paint!). 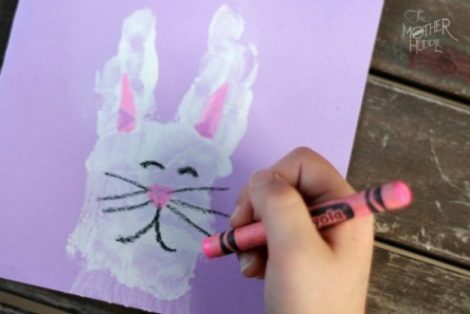 These unique Easter crafts for kids are from The Best Idea For Kids. Use the template on the felt. Trace the template and cut as many egg shapes as you want. Have kids decorate their felt eggs as they like! If your kids aren’t old enough to use scissors, be sure to do this step for them. If your kids are decorating using small pieces, be sure to watch out for choking hazards. 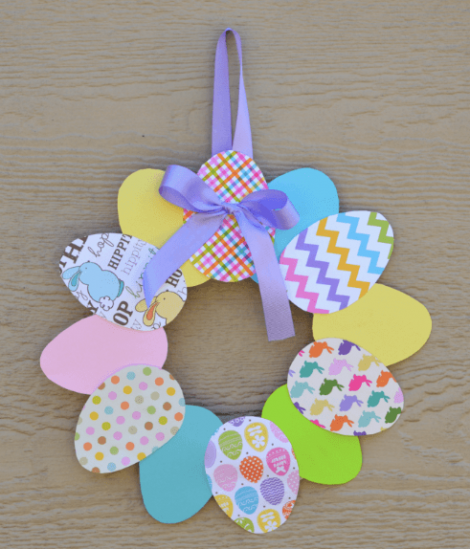 We love this fun wreath craft because kids can hang them on their bedroom doors, and you can use the egg template from the previous activity again! 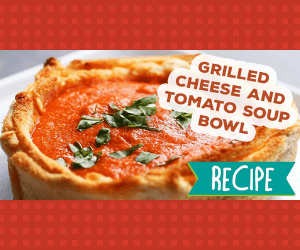 This activity is from The Resourceful Mama. Cut the inner portion of the paper plate, so you create a circular wreath outline. Trace your egg template on the coloured paper. Cut enough eggs out to complete the wreath. 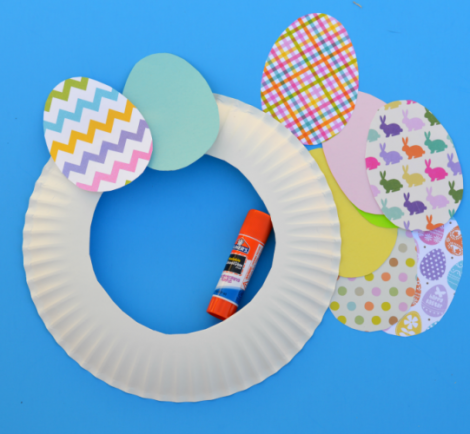 Glue the egg shapes along the rim of the paper plate. Cut a piece of ribbon, make a bow, use a glue dot, and attach it to the top of your wreath. Cut a piece of ribbon, form a loop, use a glue dot, and attach to the back of the wreath. Who doesn’t love handprint crafts? They’re so sweet and a great memory to have for when the kids get older. This craft is from Holidappy. Have your kids make a “Spock” handprint in white with the thumb bent into the palm (fingers spread, with index and middle touching, and pinky and ring finger touching). This makes the shape of the bunny! Use the paint to paint the face and ears. Tip: If you don’t want to use paint for the imprint and face and ears, wait until the paint has dried, and have your kids colour the face and ears with crayons. Why stop at Easter crafts for kids? There are other great Easter activities your family can do! Last but not least, we’ve included some of our favourite Easter Dessert Recipes! Trust us, these desserts will be a crowd pleaser at any Easter dinner.